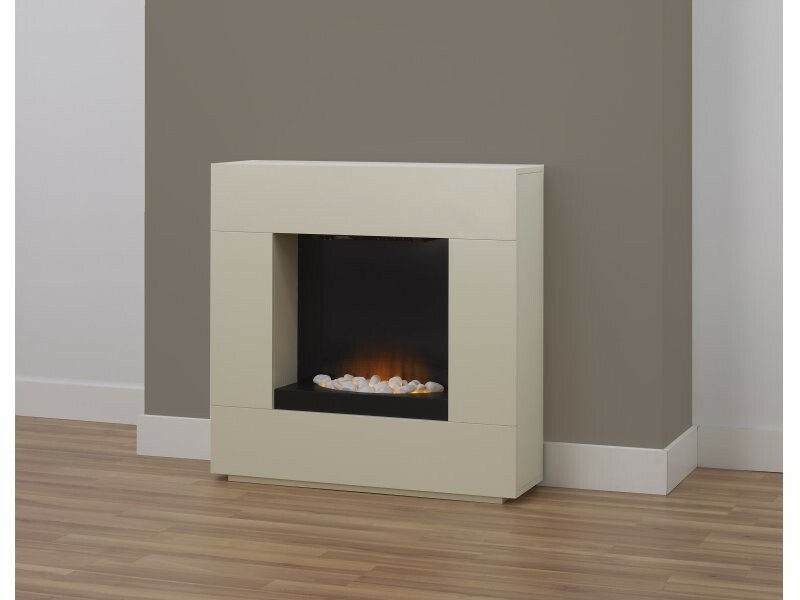 The Fireplaces 4 Life Alton 36'' Cream Electric Fireplace Suite is a an art deco inspired freestanding fireplace suite, with an adjustable heat output of up to 2kW and a realistic LED display with a ribbon flame effect! 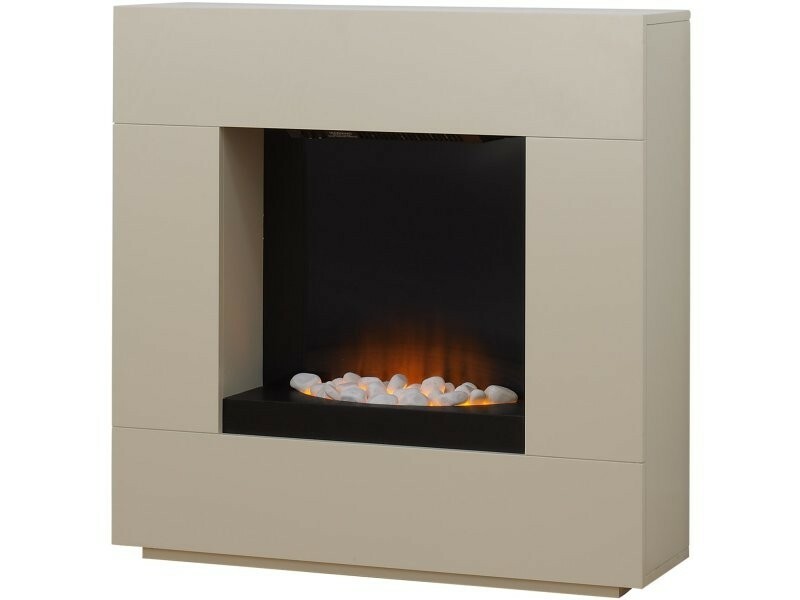 The Fireplaces 4 Life Alton 36'' Cream Electric Fireplace Suite is an elegant modern electric fireplace suite. Each suite features an art deco inspired cube design that is both captivating, yet remarkably unobtrusive. This features a textured cream finish that is offset by a black finished back panel for added depth. The Alton features an adjustable heat output of 1kW or 2kW, that is enhanced by a realistic coal fuel bed and a LED display that produces an authentic ribbon flame effect. The Alton electric fireplace suite is a free standing unit, that can be easily installed within any room thanks to its sleek flat to the wall design.